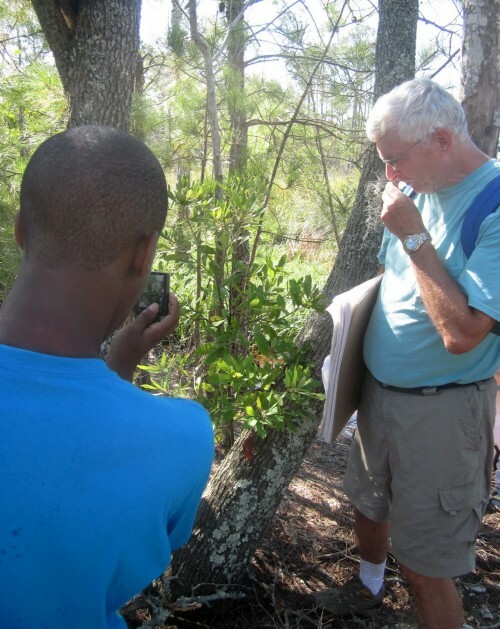 Dr. Paul Hosier, Professor of Biology and Marine Biology at UNC-Wilmington, led a walk through the maritime forest, salt shrub habitat and the salt and freshwater marshes of Carolina Beach State Park. Our thanks for his superb teaching abilities! 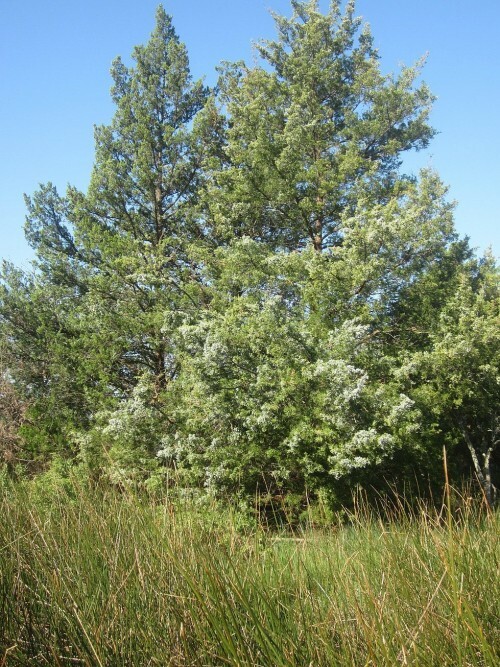 A salt-resistant native, Red Cedar is an important maritime forest tree and a great wildlife food. 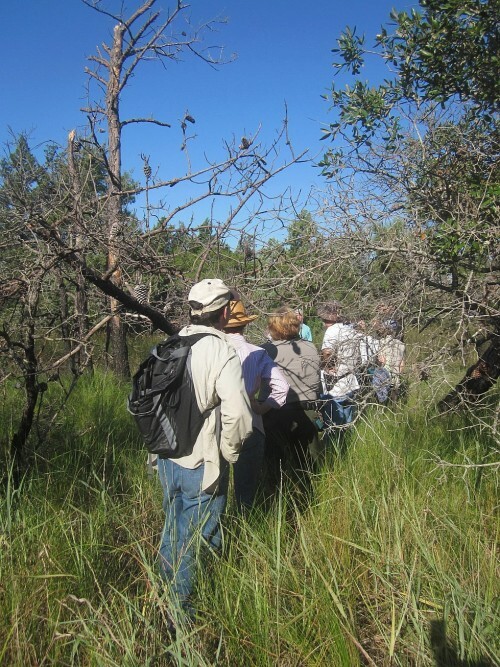 The effects of saltwater intrusion and salt spray greatly affect which plants grow in the many micro-habitats of the coastline. Southeast Coast icon, Live Oaks are incredibly resistant to salt spray and wind damage. 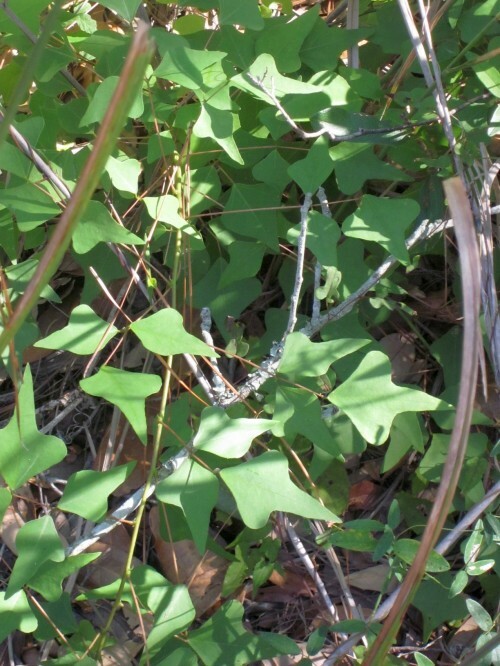 Constant salt spray kills upward-growing shoots along the branches and produces the long horizontal branches characteristic of this species. 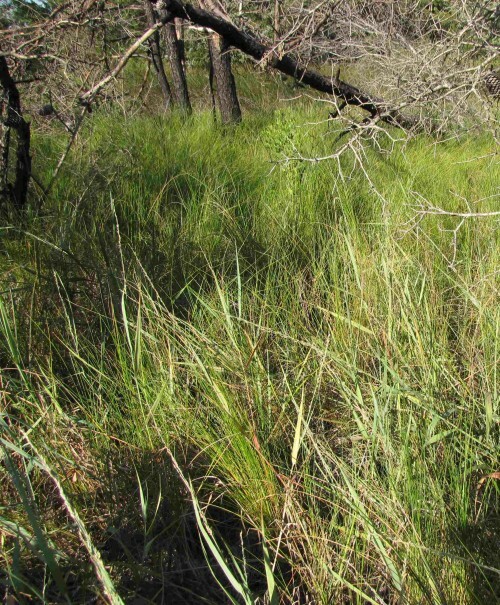 Saltmeadow cordgrass, Spartina patens, grows beneath them. 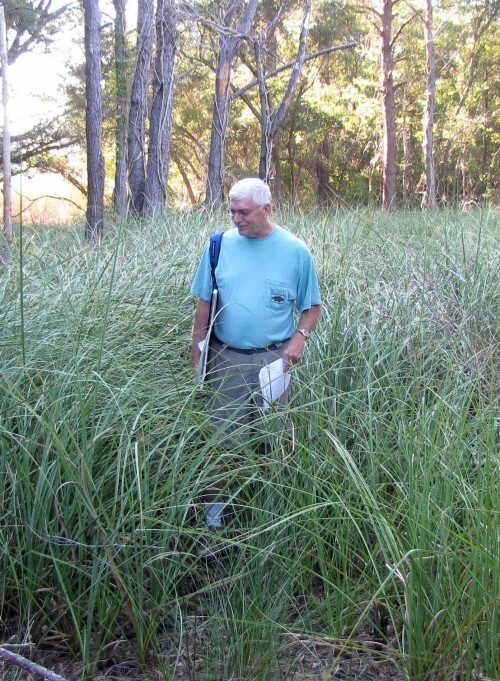 Saltmeadow cordgrass grows in salt marsh and dune habitats, helping to stabilize the shoreline. 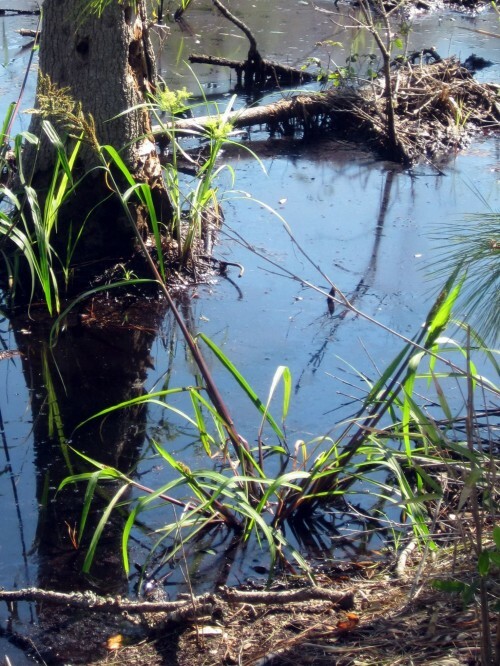 Living up to its name, Giant Cordgrass grows in brackish water and is important as wildlife habitat and food source. 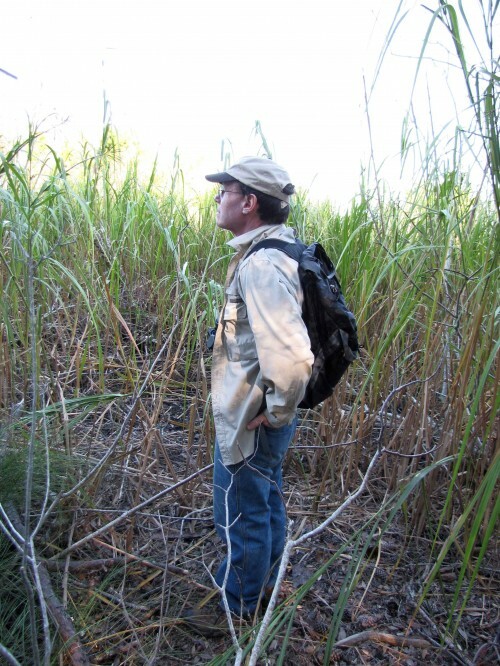 Dr. Hosier braves the cutting blades of Sawgrass, Cladium mariscus. 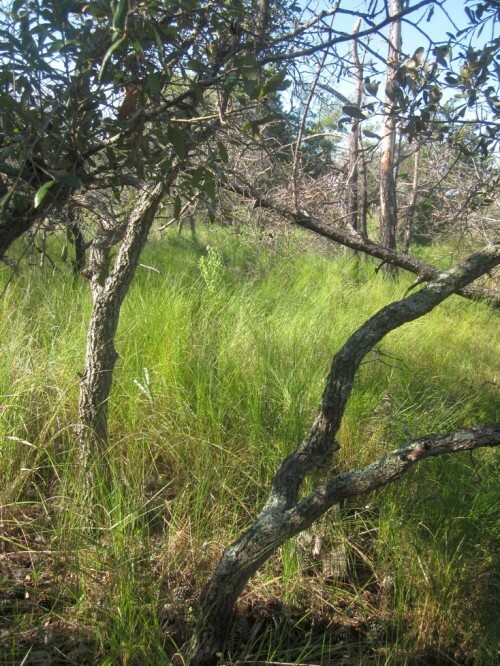 Sawgrass, the dominant grass of the Everglades, is another plant of brackish waters. 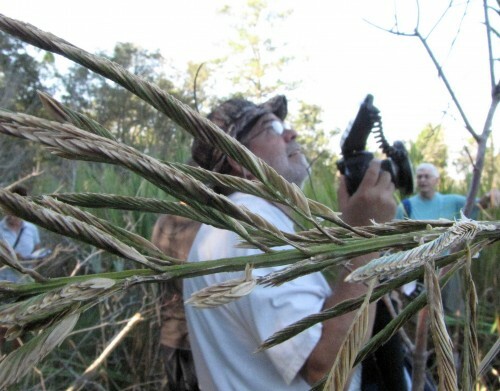 Cutting edge...Sawgrass earns its name! 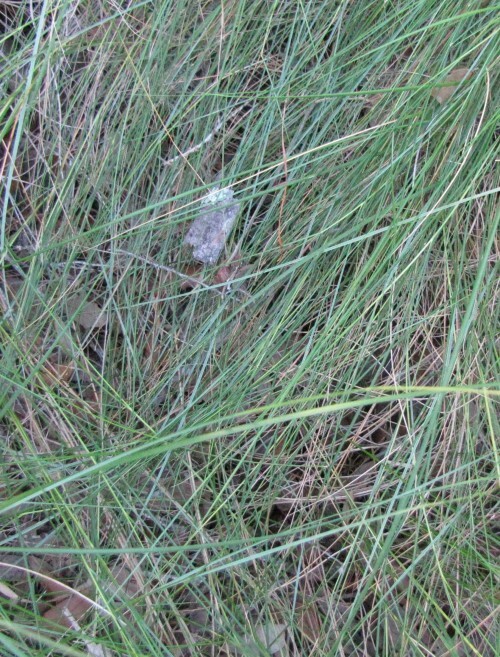 Mixed grasses stabilize a dune. 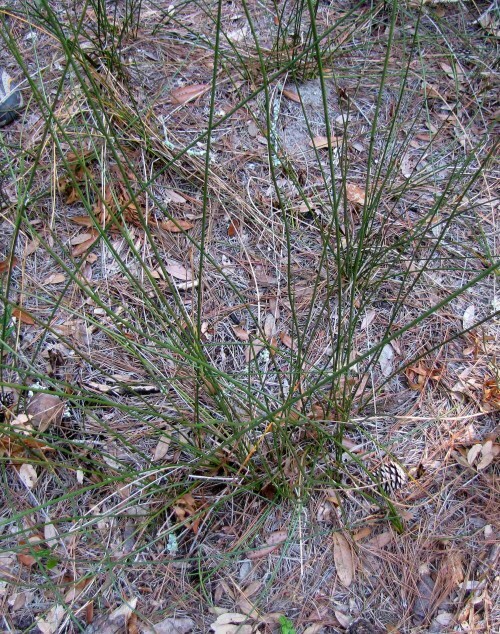 This mixture of Bitter Panicum (Panicum amarum), American beachgrass (Ammophila breviligulata) and Saltmeadow cordgrass (Spartina patens) may have been planted, since American Beachgrass, native to the Northeast NC coast, is commonly used in dune restoration. 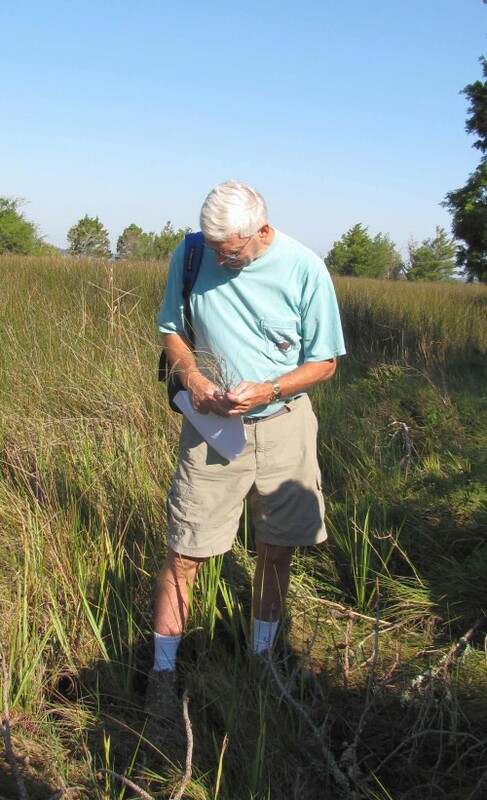 Dr. Hosier disentangles three different species of grasses and sedges from one small clump. 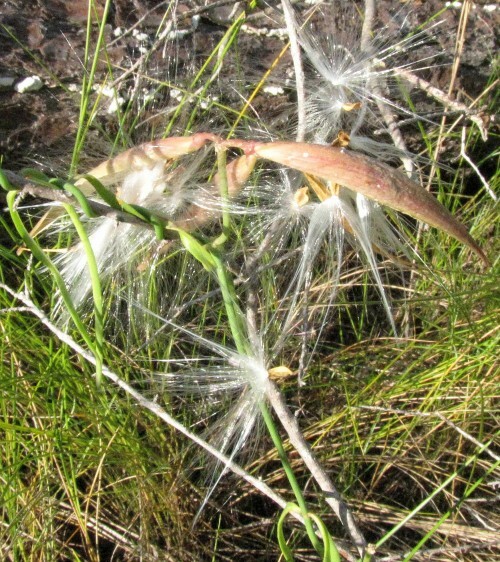 The beautiful seeds of Bitter Panicum, Panicum amarum. 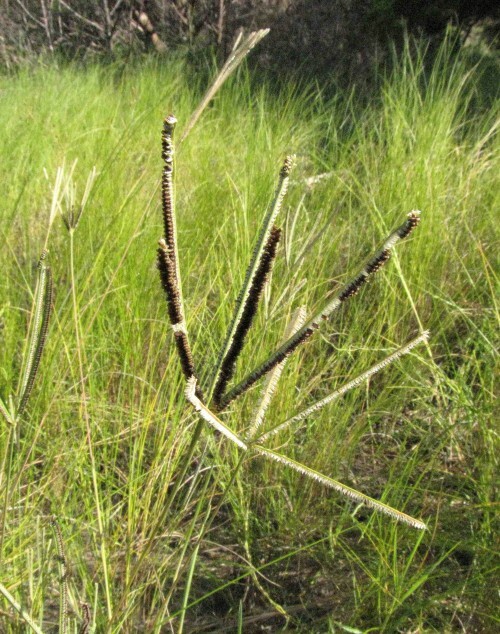 Black Needlerush, Juncus roemerianus, dominates brackish marshes. 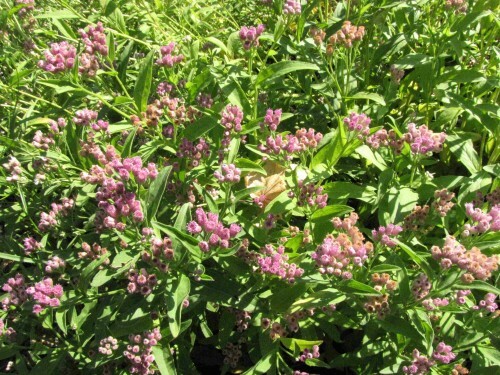 This rush blooms in early spring. 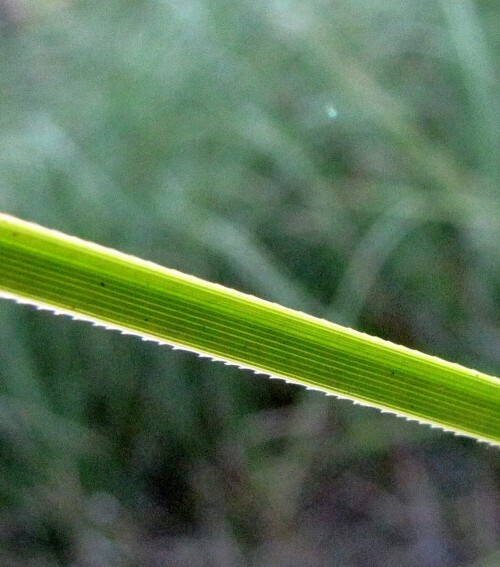 Unlike grasses and sedges, rushes have flowers like tiny, dull-colored lilies with three petals and three sepals arranged in a circle. 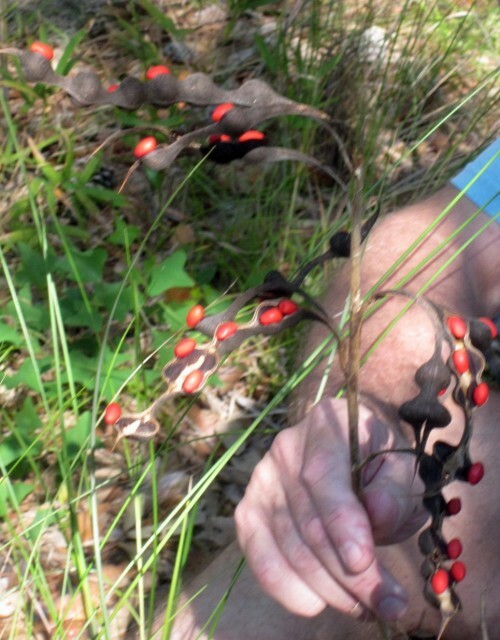 A three-parted capsule filled with seeds usually stays on the plant for much of the season. 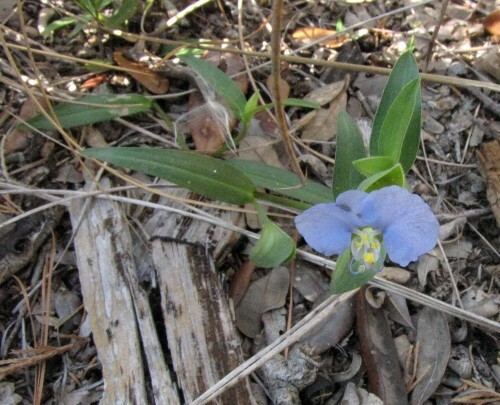 We were lucky to catch the delicate bloom of Sand Dayflower, open for only a few hours of sun. 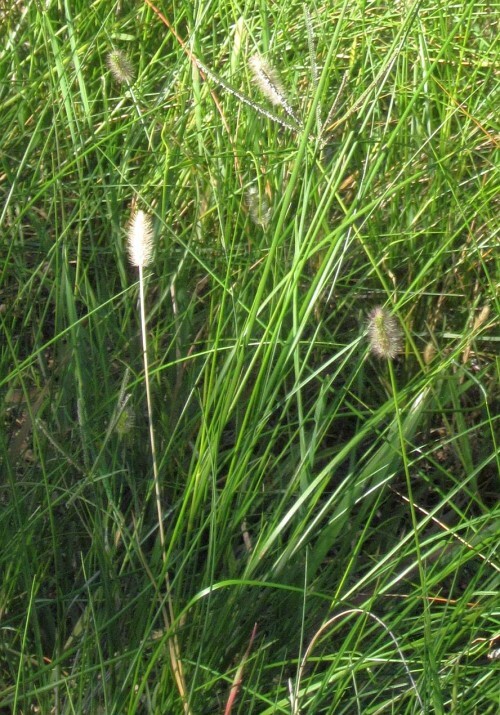 Found at the upper edge of brackish marshes, Foxtail Grass has a purple flower head that fades to tan as it goes to seed. 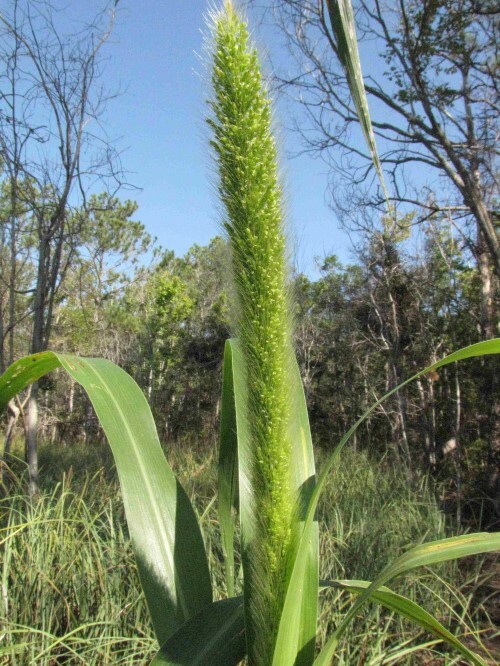 A huge grass, to 10' tall with the inflorescence a foot long, Giant Foxtail Grass grows in brackish and freshwater marshes. 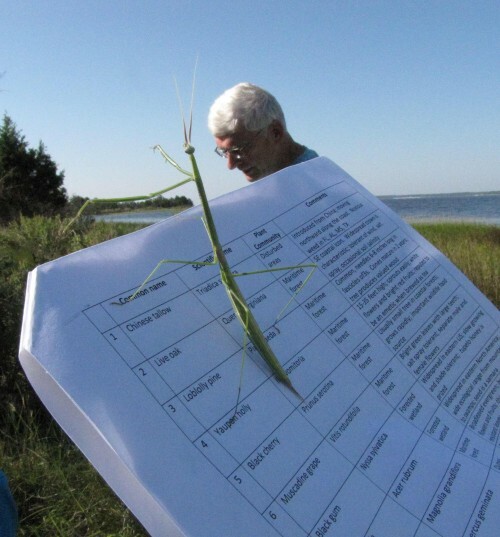 A Walkingstick studies the plant list for its next meal. 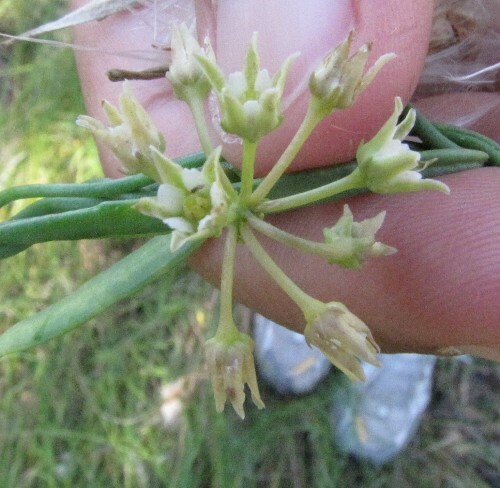 Like other milkweeds, Swallow-wort has a silk-filled seed pod which helps the seeds disperse over wide areas. 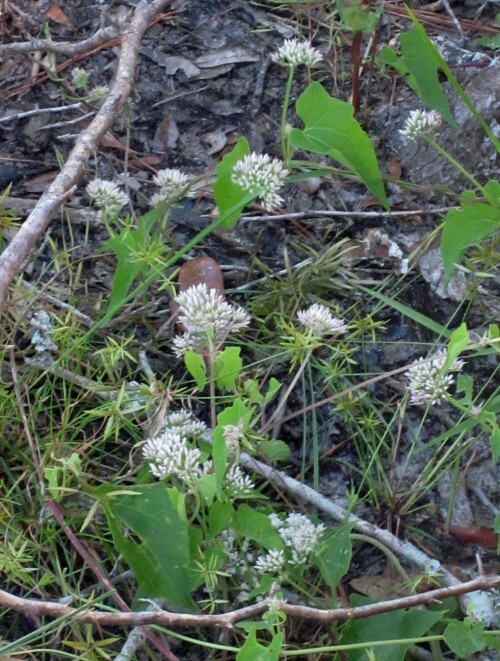 A dune plant in the Aster family, Climbing Hempweed attracts pollinating insects and has wind-dispersed seeds. 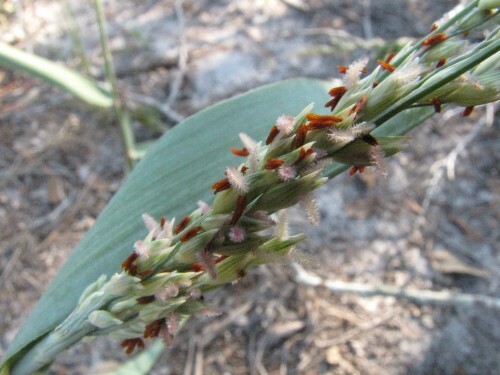 A beautiful flower of freshwater wetlands, the leaves have a strong odor when crushed. 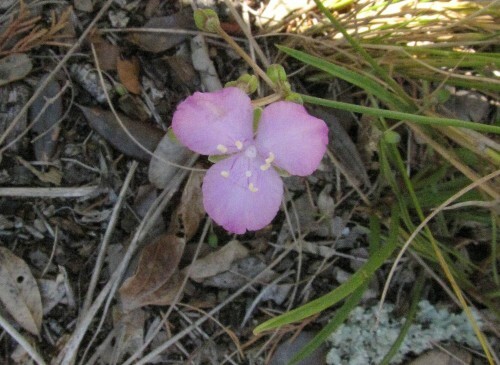 Carla Edwards, Carolina Beach State Park Ranger, notes additions to the park's plant list. 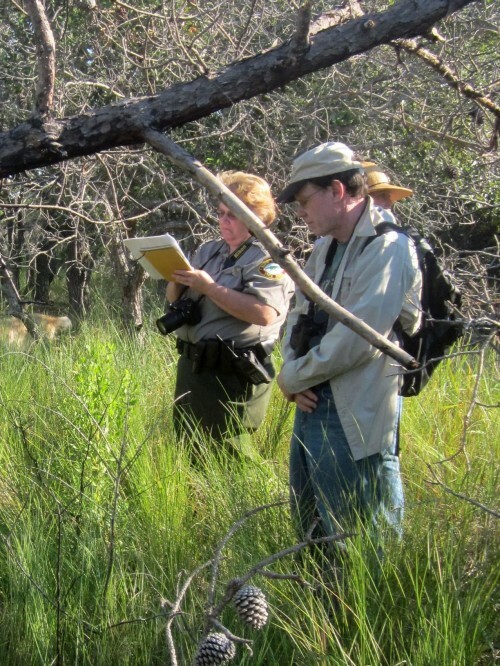 Thanks to Carla for her active interest in the native plants of this wonderful park!